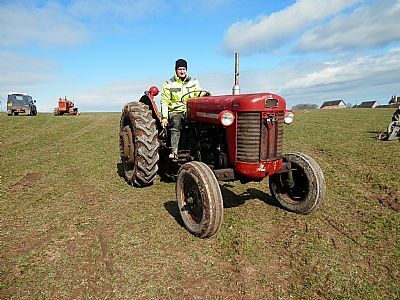 The Tractor Working day was held on Sunday 31st March at one of the fields on Heathfield by kind permission of the Hourie family. 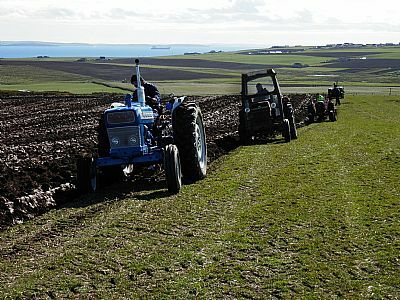 The sun was shining and it was a good dry field so the tractors were soon making good progress. 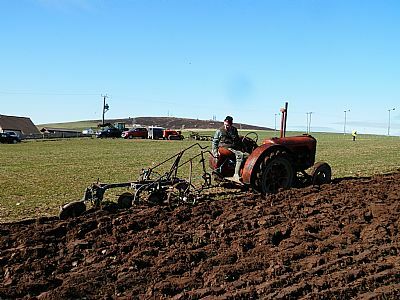 Of the thirteen tractors attending the event, most of them were from the 50’s and 60’s but there were two with drag ploughs, Alan Scot’s 1942 Case DC4 and Steven Metcalf’s Track Marshall. 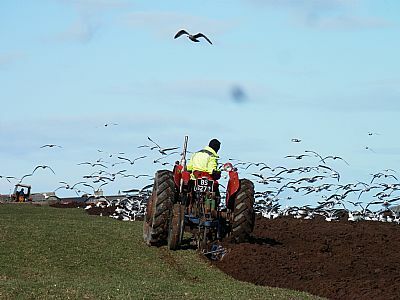 The attached photos give a good impression of the activities.